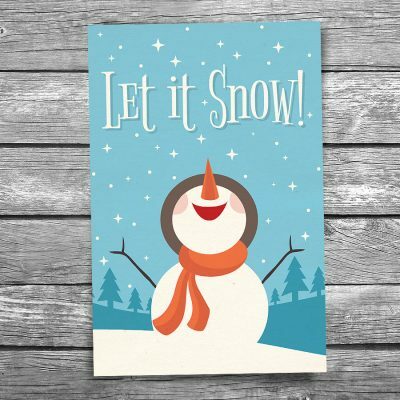 Christmas Postcards | Christopher Arndt Postcard Co. Select from a beautiful selection of Christmas postcards. 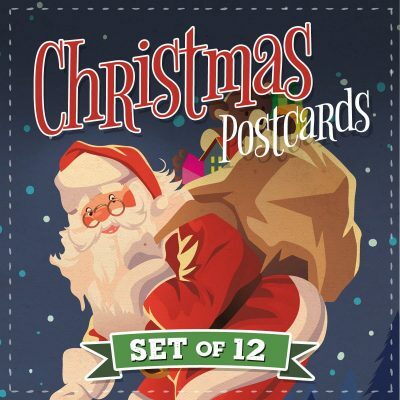 Set includes 12 Christmas postcards — one of each design. Individual Christmas postcards can be purchased here. Save 10¢/postcard off the regular individual price. Santa Claus suit Christmas postcard. Size: 4″x6″ Paper: Cardstock — 22-101 | Artwork based on a design by Freepik. Used with permission. Tree of gifts Christmas postcard. Size: 4″x6″ Paper: Cardstock — 22-102 | Artwork based on a design by Freepik. Used with permission. Retro-style Christmas ornaments postcard. Size: 4″x6″ Paper: Cardstock — 22-103 | Artwork based on a design by Freepik. Used with permission. Snowflakes Christmas postcard. Size: 4″x6″ Paper: Cardstock — 22-104 | Artwork based on a design by Freepik. Used with permission. Retro-style Santa Clause going down the chimney with a pack of gifts postcard. Size: 4″x6″ Paper: Cardstock — 22-105 | Artwork based on a design by Freepik. Used with permission. We Wish You a Merry Christmas and a Happy New Year word tree postcard. Size: 4″x6″ Paper: Cardstock — 22-106 | Artwork based on a design by Freepik. Used with permission. Christmas nativity postcard. Size: 4″x6″ Paper: Cardstock — 22-107 | Artwork based on a design by Freepik. Used with permission. Let it snow Christmas postcard. Size: 4″x6″ Paper: Cardstock — 22-108 | Artwork based on a design by Freepik. Used with permission. Warm Christmas greetings postcard. Size: 4″x6″ Paper: Cardstock — 22-109 | Artwork based on a design by Freepik. Used with permission. Joy to the World Christmas postcard. Size: 4″x6″ Paper: Cardstock — 22-110 | Artwork based on a design by Freepik. Used with permission. Snowy scenic town Christmas postcard. Size: 4″x6″ Paper: Cardstock — 22-111 | Artwork based on a design by Freepik. Used with permission. “We Wish You a Merry Christmas” postcard. Size: 4″x6″ Paper: Cardstock — 22-112 | Artwork based on a design by Freepik. Used with permission.